He just couldn't stay unemployed. HBO is determined to sign all the cool, white dads. The network was quick to grab the talented Bill Simmons when he was cut by ESPN, and now it has added Jon Stewart; signing him to a four-year deal. At HBO, Stewart will initially create short-form, newsy digital content for HBO Now, HBO Go and other platforms. There will be more projects as things progress. 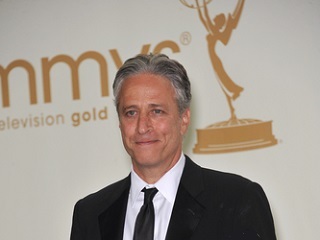 This is a homecoming for Stewart, whose previous work with HBO included a comedy special and hosting duties for George Carlin: 40 Years of Comedy and Mr. Show With Bob and David.